You can get started with our Operator Services right away – there's no need for you to invest in any infrastructure, equipment or support resource. We handle everything for you, so your customers enjoy easy access to national and international calling assistance, anytime. Your telephone customers expect to be able to access help with calling issues quickly and easily. It's also part of your statutory obligations as a telephony provider. 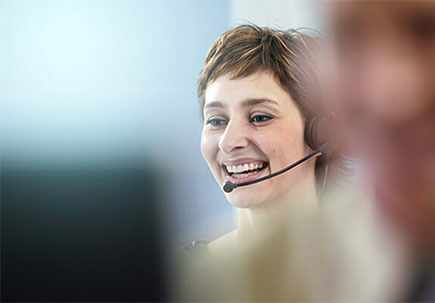 With our Operator Services you can achieve excellent customer service and Ofcom compliance without major set-up costs. And your customers can dial direct into our world-class call centres. Dialling 100 (for UK operator service) or 155 (for international operator services) takes customers through to an experienced agent who can help on a wide range of calling issues. Our highly trained operators and customer service agents offer your customers the highest standards of service. We can help customers with dialling numbers, reverse charge calls, booking alarm calls and other queries such as call charges or faults, plus much more. We aim to answer 85% of calls within 15 seconds. Our Operator Services solution is available 24 hours a day, 7 days a week with a resilient fall-back facility.